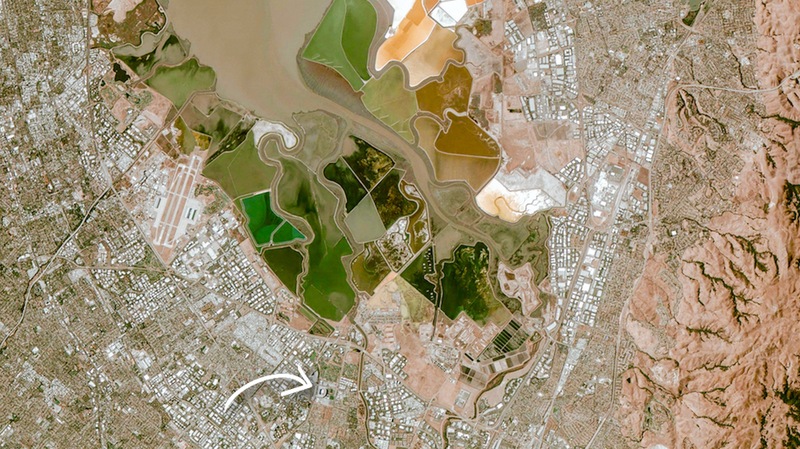 Silicon Valley plays host to Super Bowl 50 at Levi's Stadium, which you can spot in the centre of this Theia image. In North America, there are few things more renowned than the Super Bowl, or Beyoncé. And that’s especially true this year as the NFL’s championship game marks 50 years today, Feb. 7. Today, Santa Clara plays host to Super Bowl 50 at Levi’s Stadium, which you can spot in the Theia image below. Located about an hour’s drive south of San Francisco, California, Santa Clara sits at the heart of Silicon Valley in the Bay Area — so it’s fitting that this year’s game promises to be such a high-tech affair. 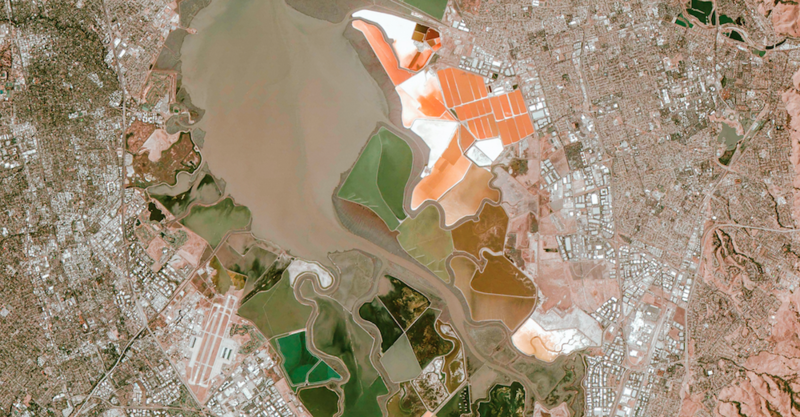 Located ~32 kilometres (~20 miles) north of the stadium, within the patchwork of San Francisco Bay’s salt ponds, is the Don Edwards San Francisco Bay National Wildlife Refuge, originally established as a safe haven for migratory birds and endangered species. Other animal residents include the California gray fox and the harbor seal (and perhaps a few wandering Broncos and Panthers). As a temporary reprieve to California’s epic four-year drought, the current El Niño phenomenon has led to a deluge of rain in recent months. In fact, $90 million was spent by the Santa Clara Valley Water District in preparation for this winter’s expected El Niño-related storms, which are powered by ‘atmospheric rivers‘. Recent weather reports, however, indicated that rain wouldn’t dampen today’s game or festivities, and all signs still point to cloudless skies. Good news for all of you football and Beyoncé fans out there. Read the UrtheCast Newsletter, here.